WISCASSET (AP) — A floating piece of history that was severely damaged during a winter storm is in Maine for repairs. 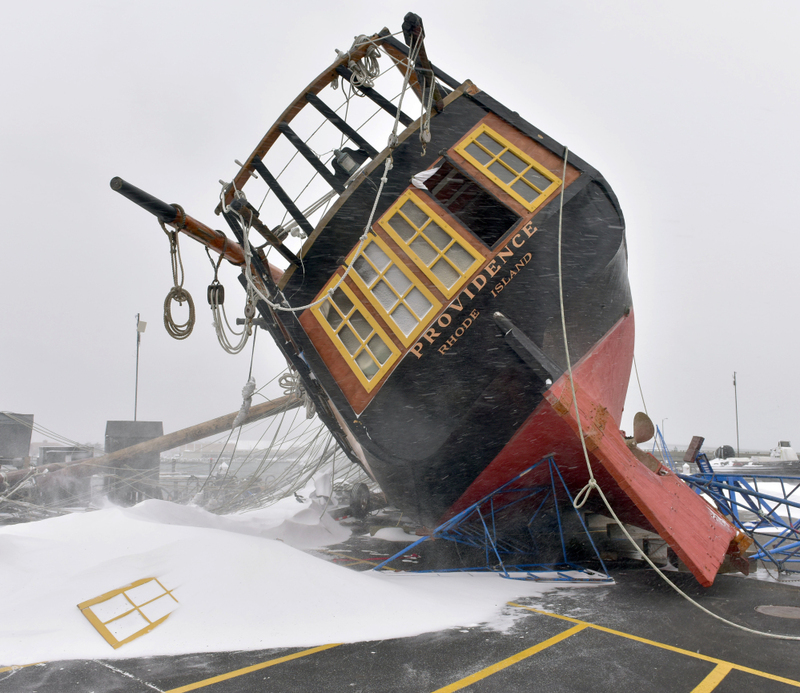 The 110-foot sloop, known as the USS Providence, toppled onto its side during powerful gusts in 2015 while stored in Newport Shipyard in Rhode Island. Damage included a broken mast and punctured hull. The sloop was built in 1976 for America’s bicentennial celebration, and bears the name of the ship that was the first command for Revolutionary War hero John Paul Jones. The ship has been featured on the big screen in two of the “Pirates of the Caribbean” movies. This winter, the ship will be in Wiscasset Harbor for a complete restoration. The USS Providence is the state flagship and tall ship ambassador.